R&B music star Ginuwine is coming to Memphis. Tickets are on sales now! Ginuwine emerged onto the Hip-Hop scene in the mid-90’s and changed the game with some of the craziest beats and hottest lyrics ever introduced to the genre. Synonymous with Timbaland, Missy Elliott, and Aaliyah, the hip-hop collective released hit single after single often collaborating and performing together. The multi-Platinum recording star recently released his seventh album, Elgin, in 2011 and has scheduled an extensive and intimate concert tour to promote the disc. Don’t miss a date on the Ginuwine concert schedule; Use Eventful as your source for Ginuwine tour dates and concert schedule information. The DC native got his start working in the creative hip-hop outfit, Swing Mob, in the early ’90s. The collective was led by Jodeci front-man, DeVante Swing, and featured Timbaland, Missy, and several other future hip-hop stars. Timbaland produced and co-wrote many of the tracks for Ginuwine’s debut album Ginuwine….The Bachelor, which became an instant hit. The lead single, “Pony”, is now an R&B throwback and continues to receive radio play. Ginuwine’s debut was certified multi-Platinum and he became an overnight success story. Ginuwine continued to collaborate with Timbaland and Missy on his sophomore effort 100% Ginuwine, which was released in 1999. The album is his highest selling to-date and is also certified double-Platinum. The single, “So Anxious”, was nominated for a Soul Train Award and Ginuwine tour dates were scheduled nationally to promote the disc. Ginuwine returned in 2001 with The Life which featured the #1 R&B single – “Differences”. Ginuwine was also featured on the #1 P. Diddy remix, “I Need A Girl Part II”, and he starred in the 2002 film Juwanna Man, expanding his talents onto the big screen. He released his fourth effort, The Senior, in 2003 which featured the club-banger “Hell Yeah” and he was nominated for an American Music Award for Favorite Male R&B Artist the same year. Ginuwine then made a foray into the business side of music by starting his own label – Bag Entertainment. 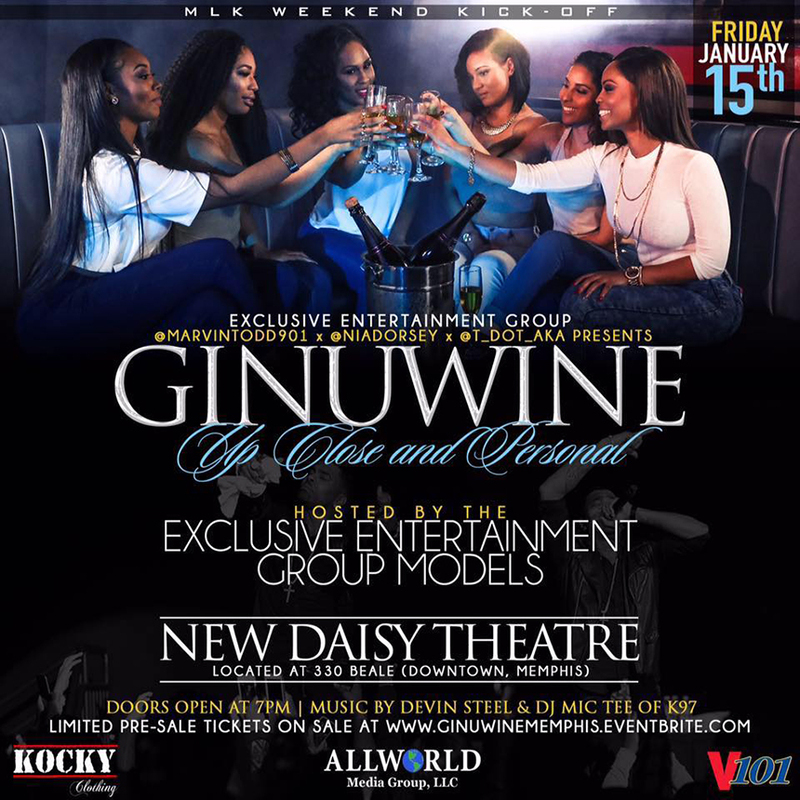 Ginuwine tour dates were scheduled on the Ladies Night Out Tour and other live concert performances. Since his heyday, Ginuwine has continued to record and release new material including Back II Basics in 2005, A Man’s Thoughts in 2009, and his most recent effort Elgin in 2011. His current single, “Body”, is the third and final cut from the album and he has been supporting the effort on the road since its release. The album was largely written by Ginuwine himself, and features two songs penned by the prolific balladeer – Diane Warren. One of the first and most creative Hip-Hop R&B performers, Ginuwine has been serving up ballads and club-bangers since “Pony” hit radio in 1995. Don’t miss out on this live act when he visits a venue near you. Use Eventful as your source for Ginuwine tour dates and concert schedule information.